Goodreads has begun their voting for the 2013 Goodreads Choice Awards, so I thought it might also be a good time to review my favorite book of 2013. As you may recall, my favorite book last year was The Orphanmaster’s Son by Adam Johnson. This book went on to win a Pulitzer Prize. 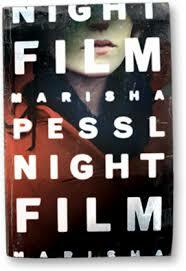 I don’t expect as much for Night Film, but I am certainly going to name this book my favorite for 2013. Night Film revolves around the work of an investigative journalist who becomes obsessed, as so many have, with a legendary and reclusive cult-horror-film director named Stanley Cordova. The book opens with the death of Cordova’s daughter in a warehouse in New York. Her death is a ruled suicide, but McGrath suspects otherwise. McGrath, along with two strangers, begins a nightmarish descent into the world of the Cordova family, at what may be the cost of his own. Driven by revenge and curiosity, McGrath encounters a truly frightening world inhabited by the reclusive film director. As McGrath begins to lose sight of what is real and what isn’t, the reader is drawn into this nightmarish world and begins to wonder what is real in the novel as well. This book made me want to sleep with the lights on. It has been a long time (to say the least) since that has happened to me. Perhaps I am just a ‘fraidy cat, but this book is scary. Book Details: Published by Random House (August 20, 2013), 602 pages, ISBN: 140006788X. The Bone Season by Samanatha Shannon got a lot of hype and in my humble opinion it was undeserved. The book was good, but just good. Not amazing, not wonderful, not unforgettable, etc. In others words – it was okay. The book is worth reading, but should not be at the top of your “To-read” list. 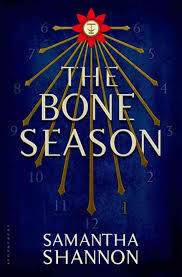 The protagonist of The Bone Season is Paige Mahoney, a top-level and rare-type of clairvoyant. She is part of a gang of clairvoyants controlled by mime-lord Jaxon Hall, in a time (2059) when being a clairvoyant is frowned upon (to say the least). Returning home one day, Paige is threatened with exposure or worse and kills a security agent with her powers. She is captured and taken to the penal colony of Sheol. Sheol is controlled by a race called the Rephaim and Paige becomes the pawn in a political battle within Sheol and the larger world to some extent. Let’s also not forget about the Emim, the mortal enemy of the Rephaim. Samantha Shannon’s Emim carry a sound of their own – buzzing. If you are a regular reader of dystopian fiction, definitely read The Bone Season. If you are not a regular reader of dystopian fiction, my pick for you would be Justin Cronin’s book The Passage. I much prefer Cronin’s work over Shannon’s, but do applaud the author of The Bone Season for a good book and I may take in the sequel if and when it happens. It depends on what else is on my “To-read” list at the time. Book Details: Published by Bloomsbury USA (August 20, 2013), 480 pages, ISBN: 978-1620401392.